Despite being banned from use in construction back at the end of the 1990s, asbestos represents a considerable danger to health today. That’s because it was used so widely in construction during the decades leading up to the ban that it still exists in vast quantities in the residential and commercial properties we use now. Asbestos abatement companies are busier now than they ever have been, not least because of the fact that more than 3,000 consumer products were also created using the material that was once viewed as a miracle mineral, thanks to its resistance to chemicals and heat. When asbestos use was at its peak, asbestos regulations were simply not sufficient to protect tradesmen and the public from the threat of mesothelioma, a particularly aggressive and usually fatal form of lung cancer. That’s because whilst some believed that working with the substance was harmful to health, it wasn’t until much later that the true deadly nature of asbestos fibres became known. Once there was a realisation that just one exposure to this deadly substance could be fatal, rules came into force governing how asbestos removal and asbestos disposal were performed. And whilst awareness of the dangers that asbestos presents is certainly better than it used to be, there are still cases arising regularly in the news where building contractors have seemingly failed to understand how to remove asbestos safely. At OHSS Safety Consultants, we are constantly working to raise awareness of the importance of adhering to asbestos regulations and understanding how to spot the substance when you see it. 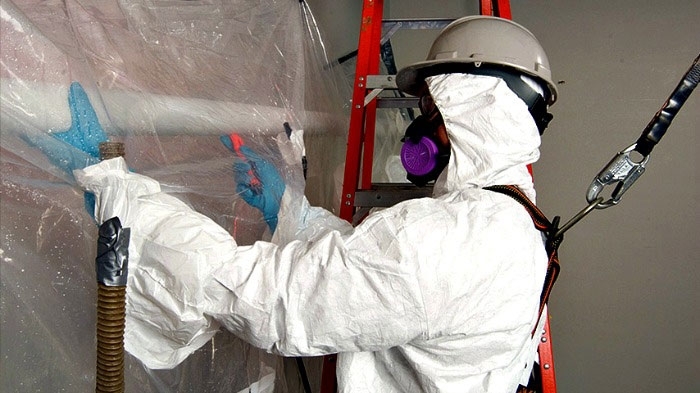 We offer a range of asbestos abatement services, as well as providing training in all aspects of asbestos identification and management. If you would like to know more about what we do, head over to our website www.ohss.ie where you’ll find out lots of useful information. However, if you’d like specific guidance on dealing with asbestos at your premises, please don’t hesitate to contact us on 01 6905907. There is perhaps no more insidiously deadly substance than asbestos in existence, so you really shouldn’t take chances. Calling the experts sooner rather than later can literally save lives, so please make sure you do.